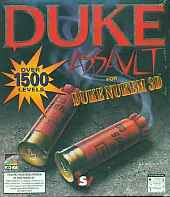 This huge addition for Duke Nukem 3D has more than 1500 levels for you to play. In case you can't keep track of what level you're on or whom you've just wasted, included is a streamlined level loader to get you back into action as quickly as possible. There are more than one hundred multiplayer levels for you to chase your friends around in.